We are acknowledged as one of the most prominent Manufacturers of Brass Metal Circles in the country. Made of superlative raw materials, our Brass Alloy Circles have high tensile strength and durability. In addition to this, our Brass Circles consist of anti-corrosive properties. 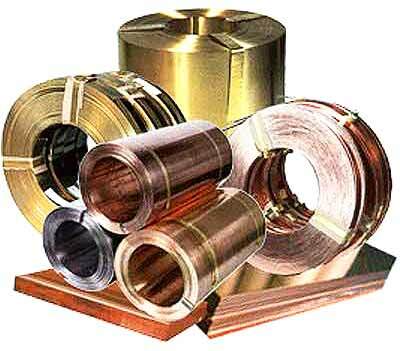 The superior Industrial Brass Circles are high on demand for applications in defense ordnance factories, musical instruments, telephone industry, battery caps, radiators, eyelets, keys, press buttons, automobile Industry, and many more. They are also used for the embellishment of buildings. Above all, we offer Brass circles at the most discounted price. We are one of the prominent Brass Circles Manufacturers based in India. Offering a wide range that is known for quality, we adhere to the highest standards for production of Brass Circles. Moreover, we keep the clients requirements in mind and offer Brass Circles having high durability. Advanced power hydraulic presses and different circle cutting machines are used by us to manufacture Brass Circles with precision. We also retain the scarp from parent sheets for truly realizing the scrap value.